Now you can learn how to crochet beautiful lace. Learn the skills to crochet hairpin lace, broomstick lace and Bruges lace in this one class! Find out more in the Class Description below. Join expert instructor Ellen Gormley as she teaches how to crochet three beautiful and beloved lace techniques -- hairpin lace, broomstick lace and Bruges lace. In just one class, you'll learn how to assemble and use a hairpin lace loom, how to properly hold a large knitting needle and crochet hook to make broomstick lace, and how short rows worked with a simple crochet hook becomes elegant Bruges lace. You'll love all the possibilities with these gorgeous lace techniques and will be thrilled to add these skills to your crochet repertoire. In addition to the video content, this class also includes step-by-step patterns and symbol diagrams for crocheting six exclusive class projects (see photos below). 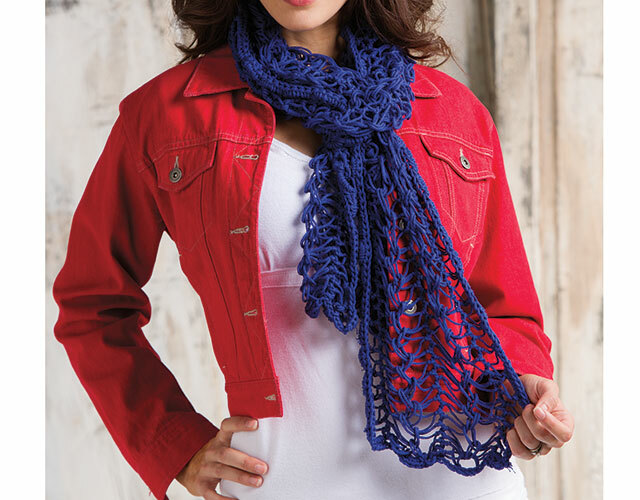 Gentle Waves Hairpin Lace Scarf and Simply Elegant Hairpin Lace Scarf will complement many outfits. The Baby Love Broomstick Blanket is perfect for the expectant mother and Broomstick Lace Shawlette will win praise from family and friends. Finally, two Bruges lace projects, Bruges Lace Tunic and Sunbeam Bruges Lace Table Runner, will showcase your newfound skills. Assemble and use a hairpin lace loom. Work hairpin lace as a right- or left-hander. Determine which supersize knitting needle and regular crochet hook to use for broomstick lace. Increase and decrease in broomstick lace. Crochet strips of Bruges lace and join them into a beautiful, lacy fabric. Block your finished projects to show off each stitch. 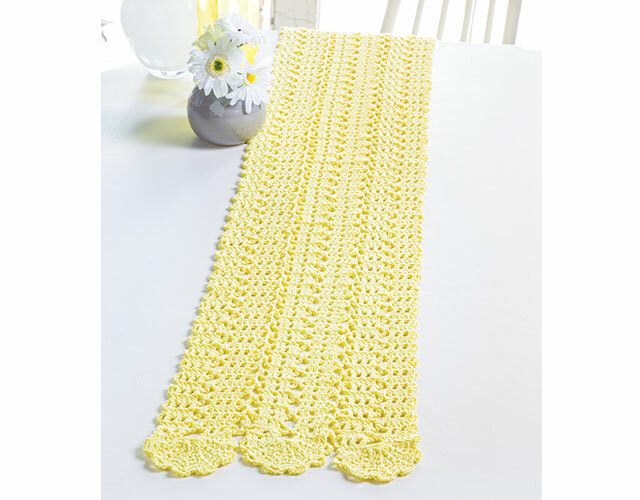 Crochet six exclusive projects including scarves, baby blanket, tunic, table runner and shawlette. Confident beginner crocheters able to chain, slip stitch, work single, half double and double crochet stitches will be able to successfully complete this class. The directions were confusing to me. Also, for left handers, the instructions left a LOT to be desired...sad, because the finished pieces are so beautiful. Excellent teacher. Very clear instruction and attention to detail. I enjoyed learning three new crochet techniques and will definitely recommend this class to others. Hi I am Jaya from Malaysia. This class was just excellent. I felt as though I was sitting in a classroom. The tutor is extremely knowledgeable on her techniques. I have seen the hairpin lace and the broomstick crochet. Have already done the broomstick crochet scarf.It is a gift for my friend in Canada. Want to start on the hairpin next. I have understood it quite well. Bruges crochet I have not seen yet. Will comment later. This class was brilliant and inspirational, it showed a different world or side to crochet, I never knew. Thank you and I will definitely be joining your other classes. Excellent teacher. I am happy with the classes. Thank you.